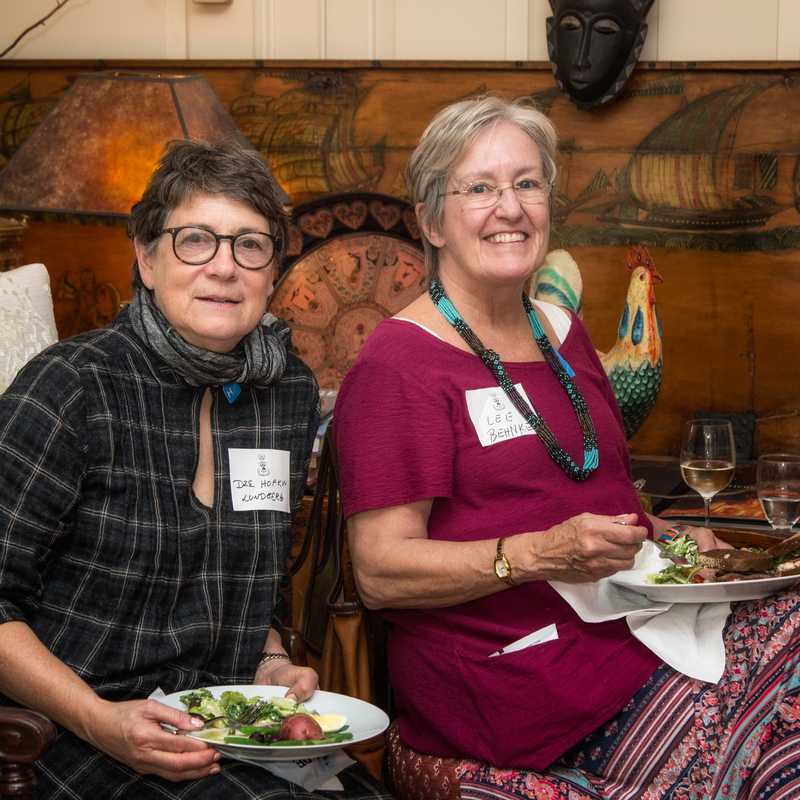 Thirty-five members of the Smith Class of 1967 met in Cambridge, MA October 16-18 to follow a rich program of activities and to continue our ongoing conversations. 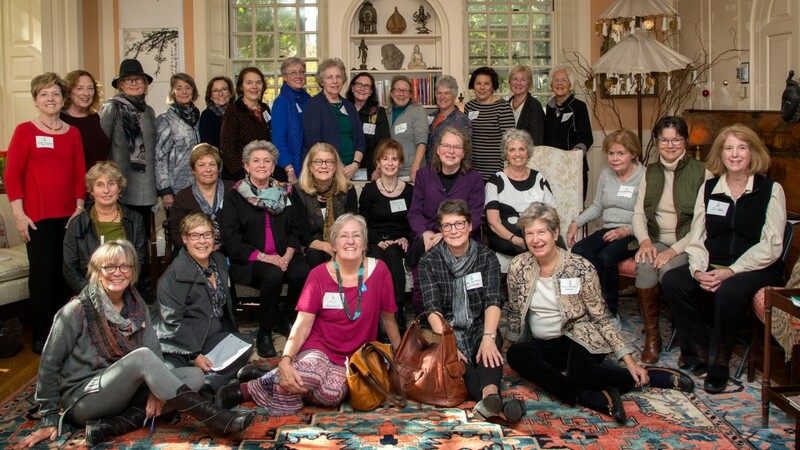 Members of the Smith Class of 1967 in the living room of Lowell House, Harvard College: Front Row (left to right): Annie Aleskovsky Zeybekoglu, Judy Brown Kleinman, Lee Hancort Behnke, Dee Hopkin Lundberg, Nancy Steeger Jennings, Seated: Sylvia Fubini, Heidi Fieldston,Ellen Kipnis Kanner, Diana Eck, Terrie Gale, Amy Namowitz Worthen, Lisa Smith Sinnigen, Marian Dean Bullock, Kathleen Leahy Born, Jill Fallon Standing: Elaine Sussman Belvin, Karen MacDonald, Elizabeth Olson Goldring Piene, Peggy Printz, Linda Johnson Foley, Diana Pritchard Paolitto, Bonnie Bottenus Clendenning, Deborah Takiff Smith, Paula Barker Duffy, Sarah James de Besche, Nancy Gordon Todd, Deborah Lipton, Betsy Caney, Dorothy Austin. 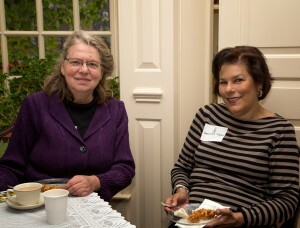 We greeted each other Friday evening at Elephant Walk restaurant. A busy Saturday began with a tour of the renovated Harvard Art Museums led by Lila Kanner, the museum’s Director of Major Gifts and Strategic Initiatives and the daughter of classmate Ellen Kipnis Kanner. After the museum tour, the group met for lunch at the Georgian-style Lowell House of Harvard University, where our classmate Diana Eck is Master. Diana led a tour of the building and grounds, pointing out historical features and explaining some current routines for students, faculty and others associated with Lowell House. 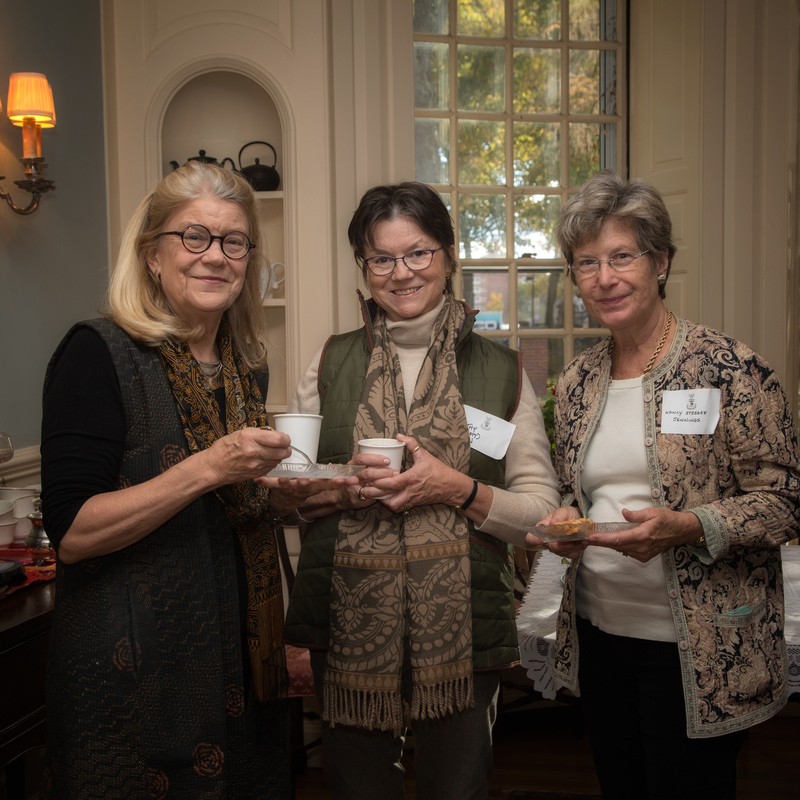 At the lunch, Class Co-President Terrie Gale and Co-Vice Presidents & Reunion Chairs Ellen Kipnis Kanner and Paula(Polly) Barker Duffy reported on plans for our upcoming 50thReunion. On Saturday afternoon, some classmates took a tour of Harvard Yard. Many from our class walked to the river to view the Head ofthe Charles Regatta, a competition attracting thousands of rowers and spectators to the Charles River. Throughout the weekend, the conversation flowed–wide-ranging, deep or light, amusing, often supportive. 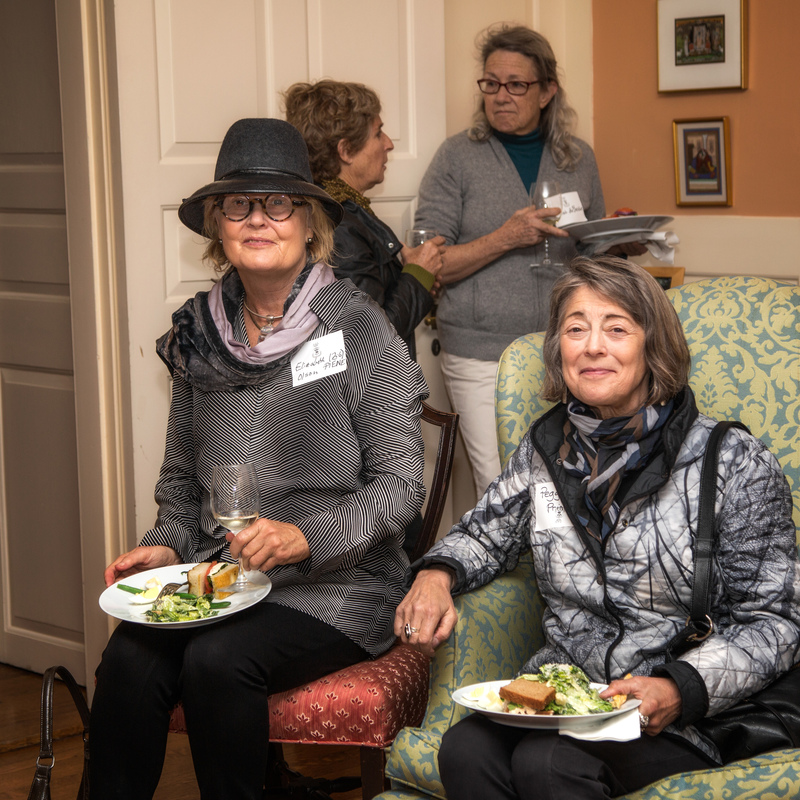 Women who’ve known each other for half acentury, as well as those who had just met, had plenty of experiences to share and much to say to each other.